Advanced Uninstaller PRO - download in one click. Virus free. Download the latest version of Advanced Uninstaller PRO with just one click, without registration. It comes with a safe official offline installer for Advanced Uninstaller PRO. Advanced Uninstaller PRO is a custom uninstaller serving to erase any traces of unwanted or confidential files that may be present in the system, thoroughly clean your hard drive and reach even the parts of your system inaccessible with standard tools. 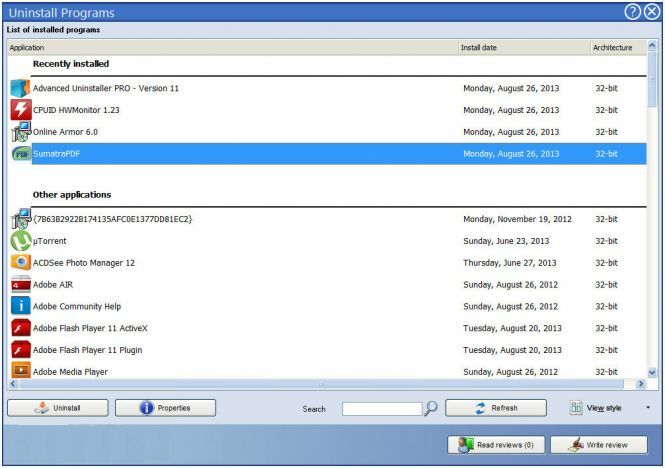 Advanced Uninstaller PRO has a simple interface allowing for quick, intuitive and safe uninstalling. It provides all the necessary functions for selecting, adjusting and executing the uninstalling procedure. No need to browse through confusing menus and select options hardly understandable by an average user. Just point, click and delete. The program informs the user of any consequence and controls the process, making sure nothing harmful is done to the system when uninstalling important components. Every program has a 'Properties' section with details on its current status. There's even a search engine included, so that you don't have to manually browse the list of all programs available for uninstall. The results of Advanced Uninstaller PRO's work are amazing. Unlike many standard tools leaving traces of code behind, making it possible to restore unwanted software or just not cleaning the system properly, this program wipes it all clean. It's perfect for removing duplicate files and can even work with files sometimes undetectable with standard tools. For example, you can select the programs that automatically run when your OS starts and choose to uninstall some of them. Privacy protection is also a big concern for Advanced Uninstaller PRO. The program is capable of 'shredding' chosen files, so that no user could possibly access it in salvageable condition. Another privacy bonus is that Advanced Uninstaller PRO has the option to delete browser and document opening history. Advanced Uninstaller PRO is a great choice for people concerned with keeping their system clean and stable.